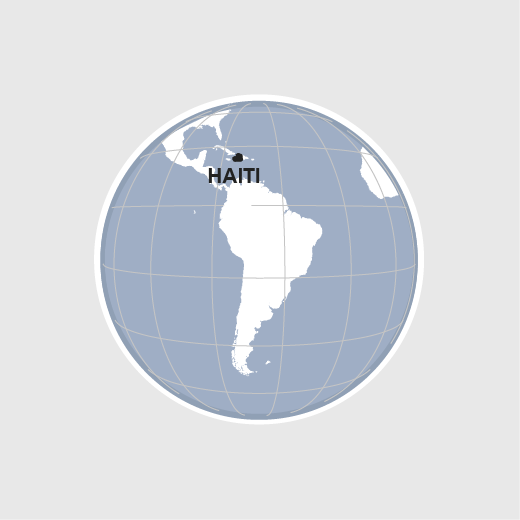 Haiti is one of the world's poorest countries. About three quarters of the population live below the poverty line and cannot meet their basic needs. The root causes of the country's precarious situation are political instability, bad governance and insufficient public investment. The global economic crisis led to reduced purchasing power and economic decline. Besides, natural disasters repeatedly thwart people's efforts to secure their livelihood. HEKS/EPER helps improve the food situation and incomes of the rural population so that they can meet their basic needs; it also assists the Haitian government with the implementation of development plans and provides humanitarian aid after natural disasters. In 2017 HEKS/EPER supported clean-up operations following hurricane Matthew for some 75000 people. Thanks to HEKS/EPER, 18000 people obtained better access to government services.